Want to move your school, workplace, family, or community to the positive and resolve negativity, bullying, and bucket dipping? Get your entire school, family, or organization turned onto this concrete concept and make a change – for good! It’s positive, it’s fun, and it works! 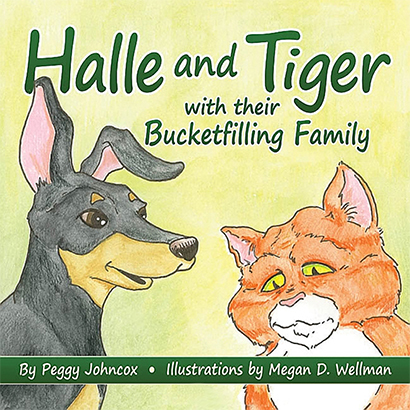 Since 2006, Bucket Fillers, Inc. has been busy creating bucketfilling schools, families, workplaces, and communities. We do this through our books, presentations, products, and free downloadable resources, all designed to help spread the message of bucket filling. Large and small audiences and thousands of readers will attest to the value of our message. The Bucket Fillers presentations are lively, engaging, interactive, and appropriate in all settings for people of all ages and walks of life. Our Presenter Team is a dynamic group of experienced teachers and counselors who captivate and engage audiences around the world. 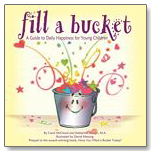 In a new twist on the Golden Rule, the Bucket Fillers’ books and presentations explain that we all carry an invisible bucket in which we keep our good thoughts and feelings. When our buckets are full, we are happy; when they are empty, we are sad. It’s important to know that we can fill our own bucket and so can others. We can also dip into it. "Bucket fillers" are those who help without being asked, give hugs and compliments, and generally spread their love and good feelings to others. 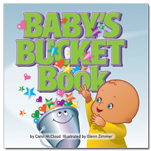 The simple metaphor of a bucket helps even preschoolers understand the importance of consideration and love, particularly towards those who bully. People who "dip" into our bucket often rob us of happy feelings by refusing to help with a task or by saying or doing cruel things. The challenge of "bullying" or "bucket dipping" usually rears its ugly head in the first few weeks of school and is often contagious. Why not address it in a positive, concrete manner through our books or presentations?